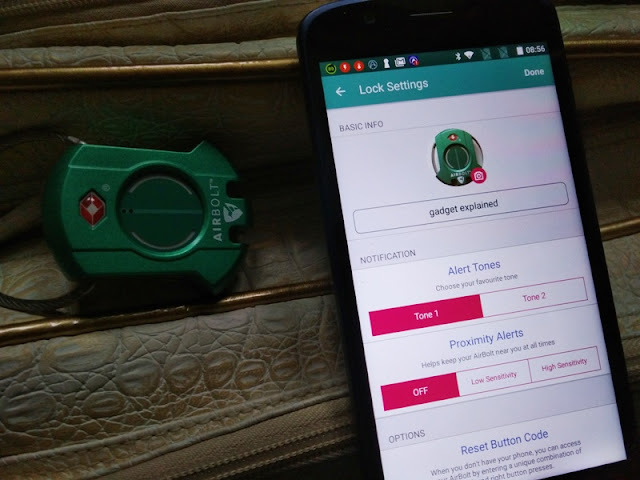 A luggage lock that you control remotely from your smartphone sounds like a really useful travel accessory to have, especially when it is TSA approved so no airport security hassles! 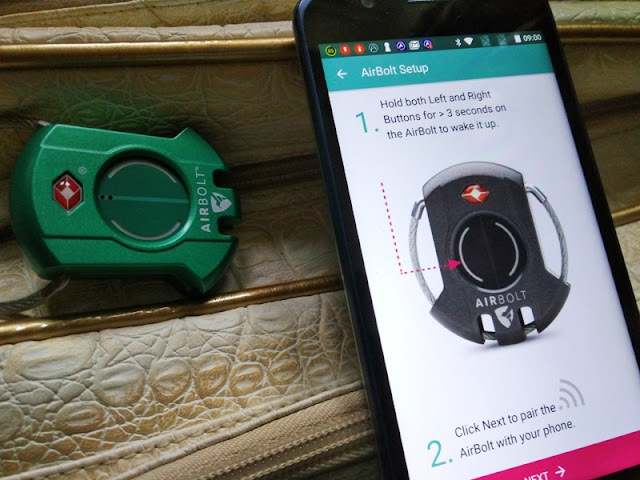 AirBolt is a wireless travel lock that features Bluetooth 4.2, GPS tracking and customizable security settings so you can have AirBolt open up whenever your smartphone is within Bluetooth range. 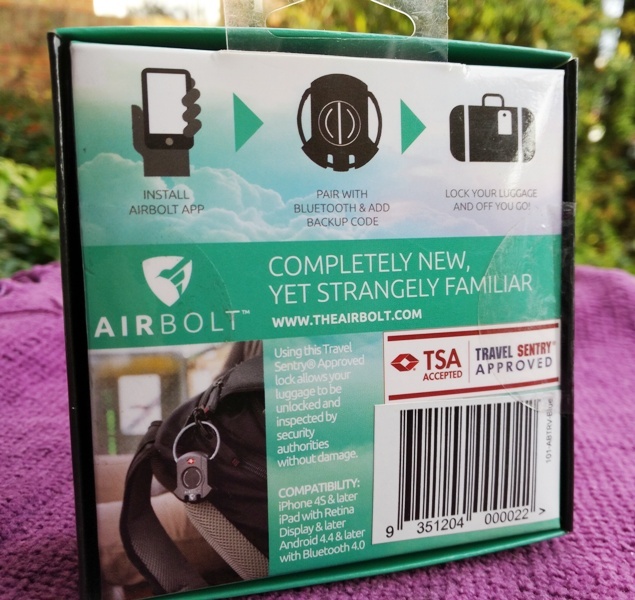 You can set an alert when your AirBolt moves too far away from your phone or you can activate the alert manually to locate your luggage or suitcase. 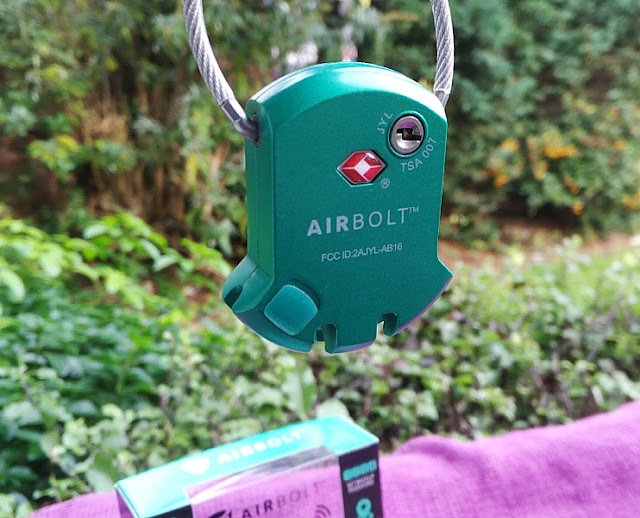 AirBolt is very compact. 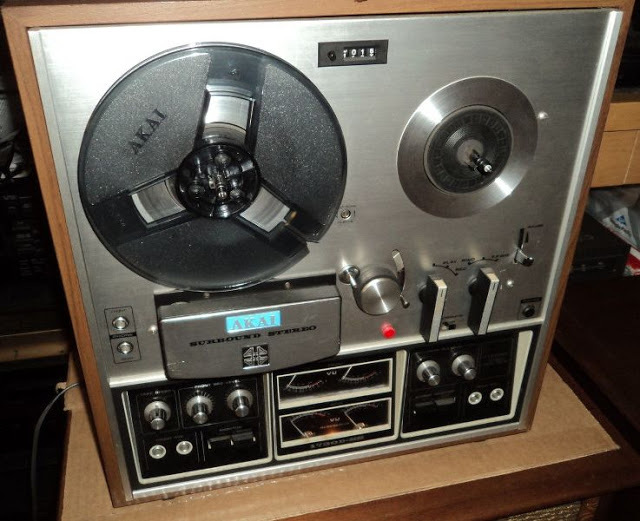 It measures 45 mm wide, 55 mm high and 16 mm thick. 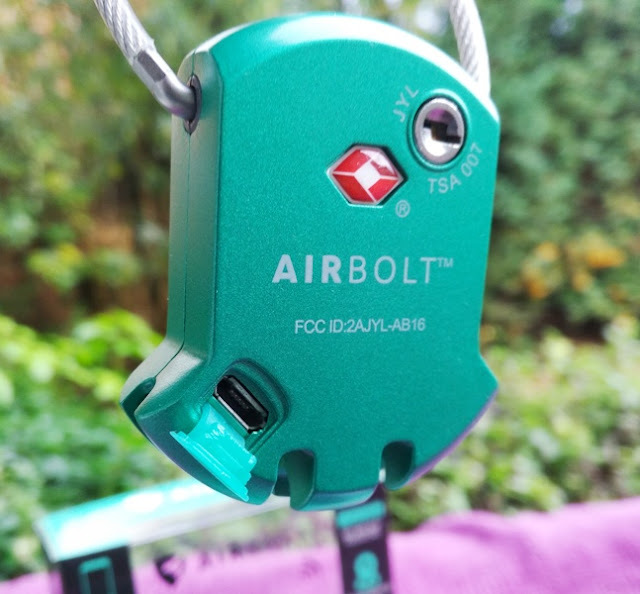 AirBolt's housing is made of zinc metal casting (die cast) while the wire lock is made of stainless steel. 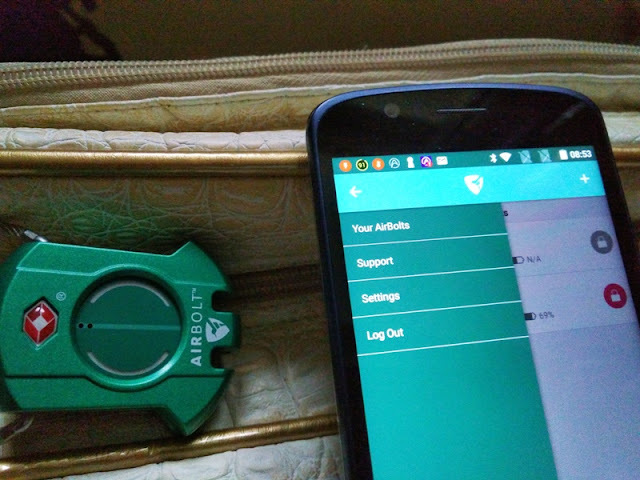 You can track the location of your AirBolt and if you lose your phone, you can still log in to your AirBolt from another phone. 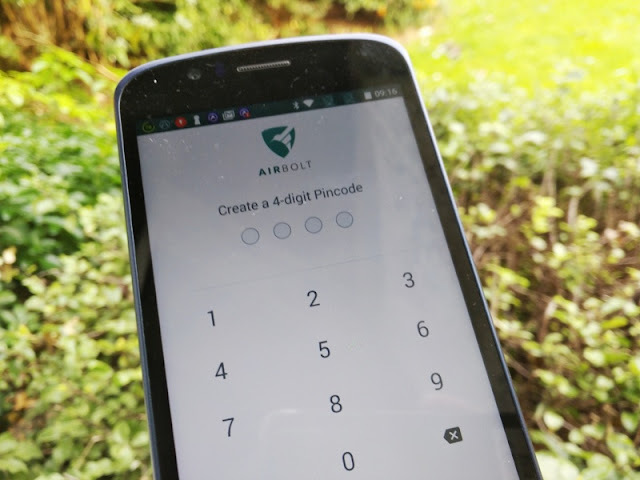 Another thoughtful feature that comes with AirBolt is the ability to manually unlock the AirBolt by entering a backup code. Battery life is amazingly long too even though AirBolt remains turned on constantly. 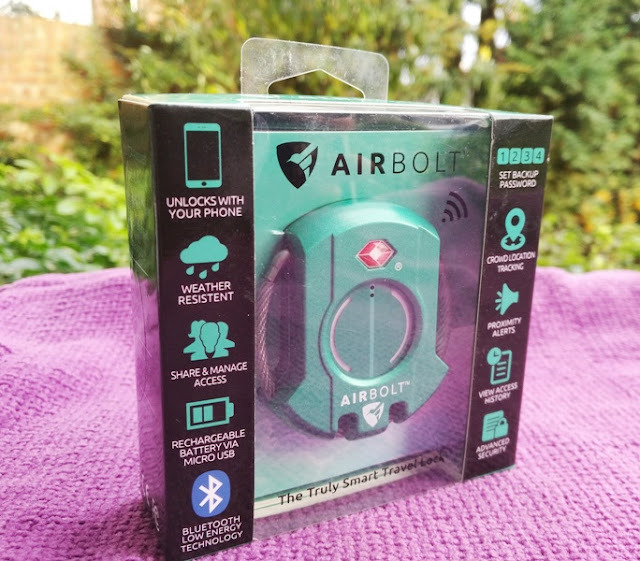 Depending on how often you use AirBolt you will ever need to charge it once a year and when you do the built-in rechargeable battery charges easily via standard micro USB connection. 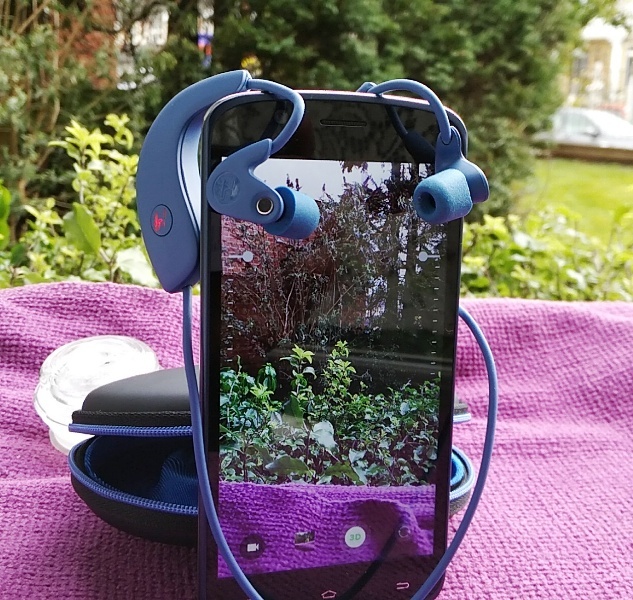 The cover on the micro USB port protects the lock from rain. 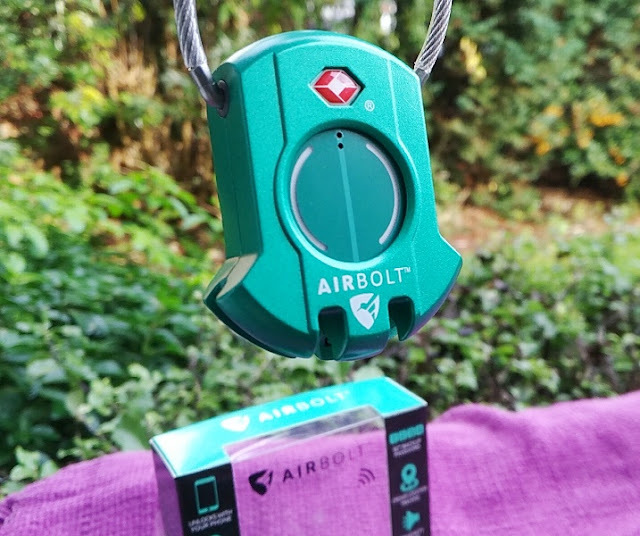 You can log in and gain access to your AirBolt from any phone but only phone can connect to the AirBolt at the same time. 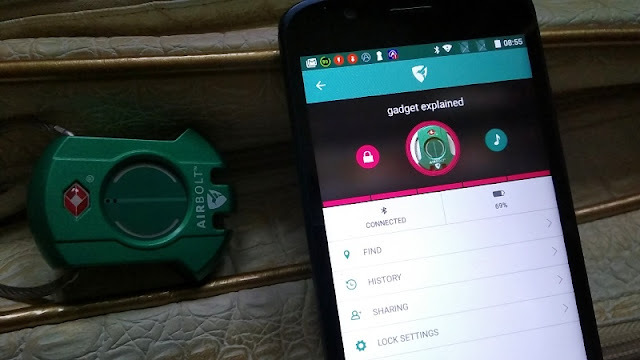 When managing your AirBolt via different phones, you need to turn Bluetooth off and close the Airbolt app from the current phone. 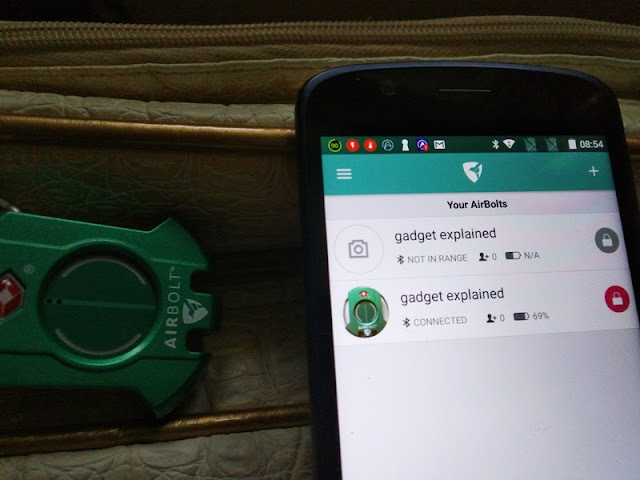 You can also share access to your AirBolt with friends and family and you can also transfer complete access to your AirBolt to someone else by deleting your AirBolt account. 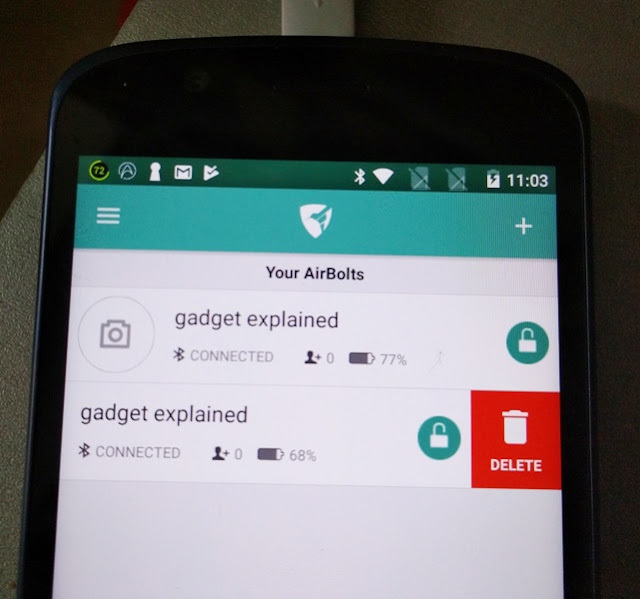 To delete your AirBolt account, simply swipe left, close the AirBolt app and remove AirBolt from your Bluetooth paired devices. 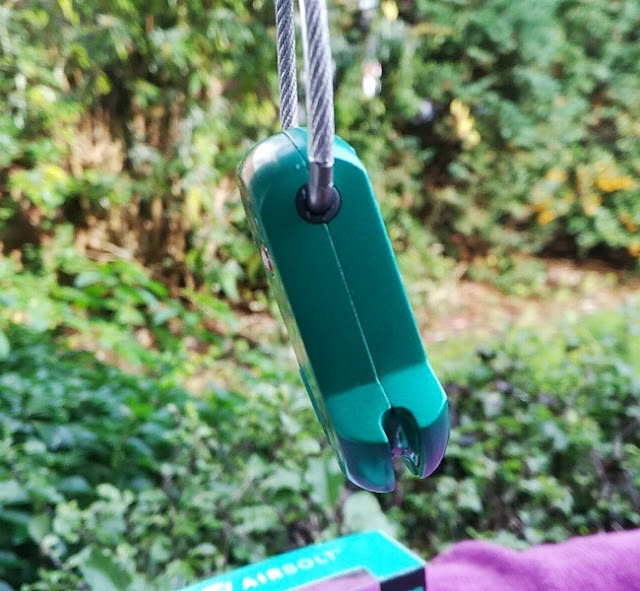 Setting up the AirBolt is easy. 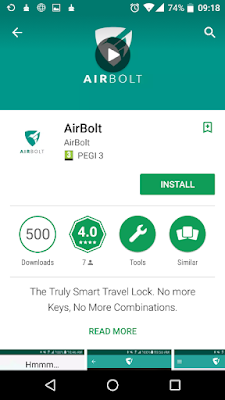 Download the AirBolt app from Google Play Store or the Apple Store, install the app in your phone, open it and sign up for an account. 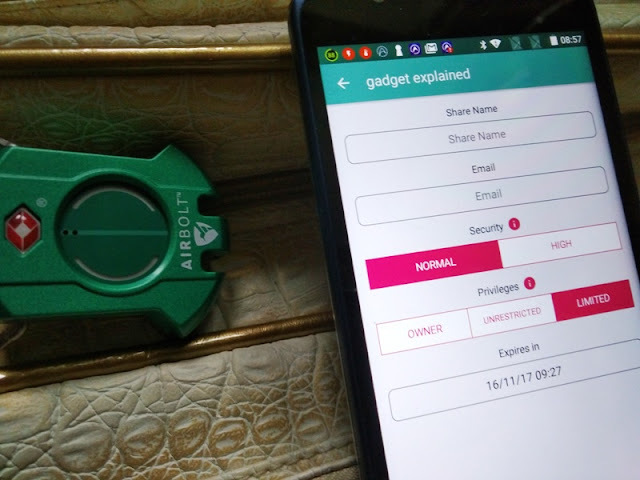 AirBolt will ask you to turn on your Bluetooth signal and the AirBolt lock will pair and connect to your phone automatically. 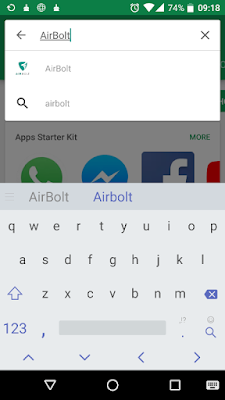 AirBolt app's home screen contains four menu tabs which include Find, History, Sharing and Lock Settings. 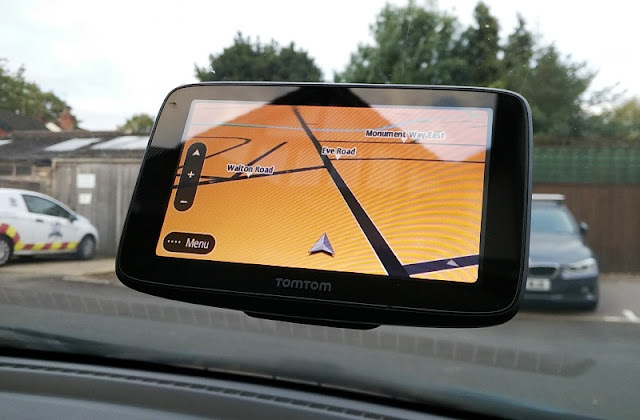 The Find tab opens up Google maps to trace the location of the AirBolt. 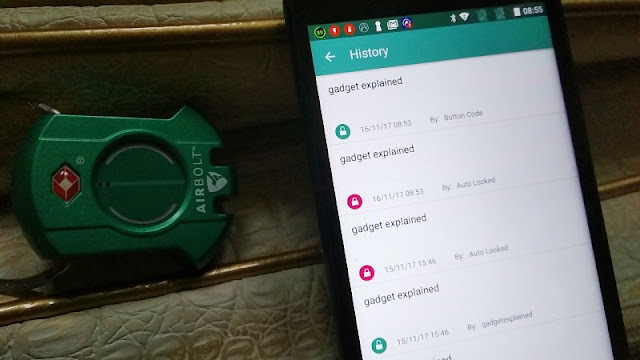 The History tab displays the usage of the AirBolt with dates and times of when the AirBolt lock was manually opened and locked automatically. 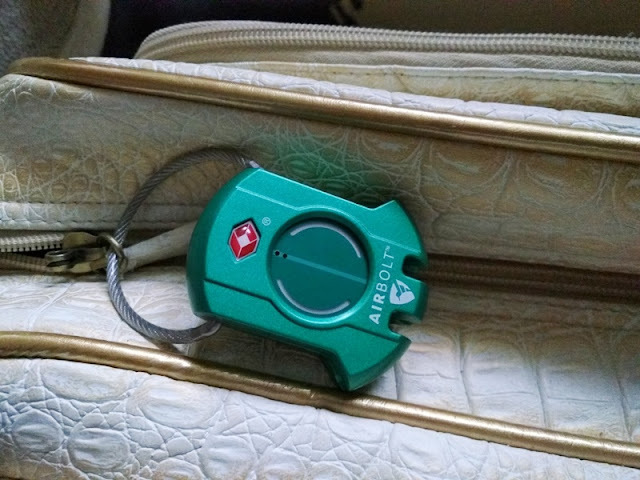 The Sharing tab allows you to grant access to the Airbolt luggage lock to family and friends. 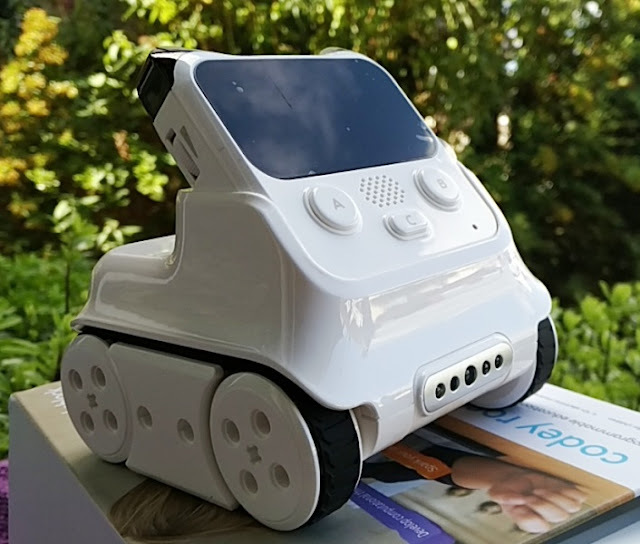 Simply enter their name, email, privileges and the level of security you wish to grant them. 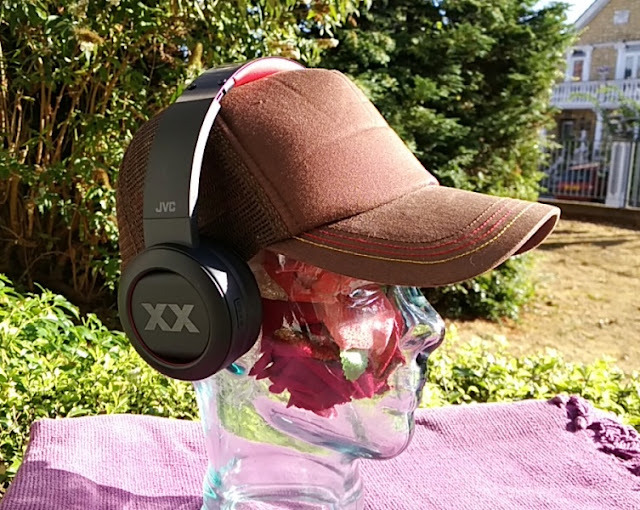 You can grant limited access, unrestricted access and even owner privileges. When choosing limited access, you can select a date for the privilege to expire. 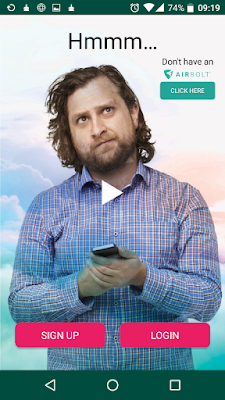 The home screen is also home to two buttons. One button is to lock and unlock the AirBolt smart lock from your smartphone. 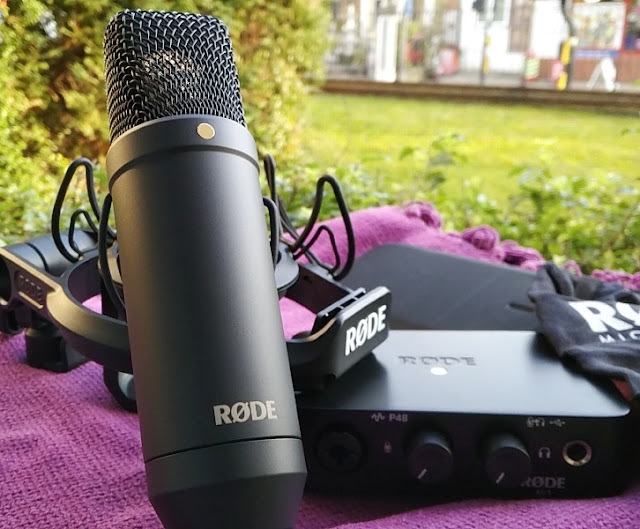 The other button (music note symbol) triggers an alert tone in the AirBolt lock so you can locate it. The AirBolt smart lock has two alert tones built-in. 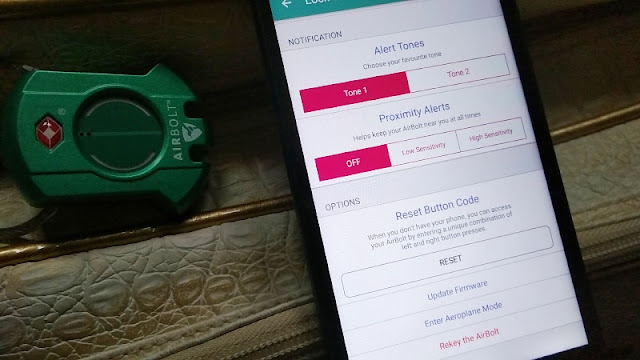 You can choose between the two alert tones from the AirBolt app by selecting the Lock Settings menu. 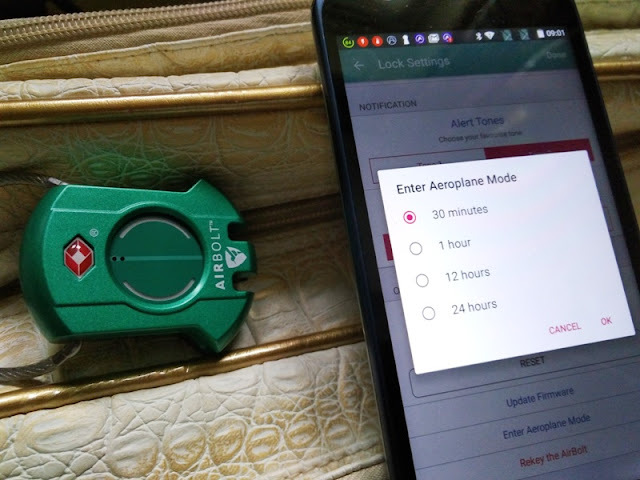 From the Lock Settings menu you can also select Proximity Alerts, reset the Button Code, update the firmware of the AirBolt, enter Airplane Mode and Rekey the AirBolt. 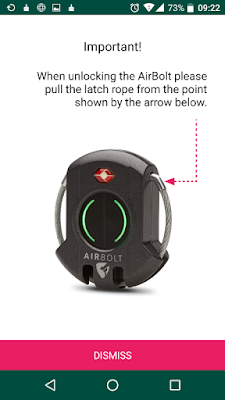 You can adjust the sensitivity of the Proximity Alerts when the AirBolt and phone are separated too far. 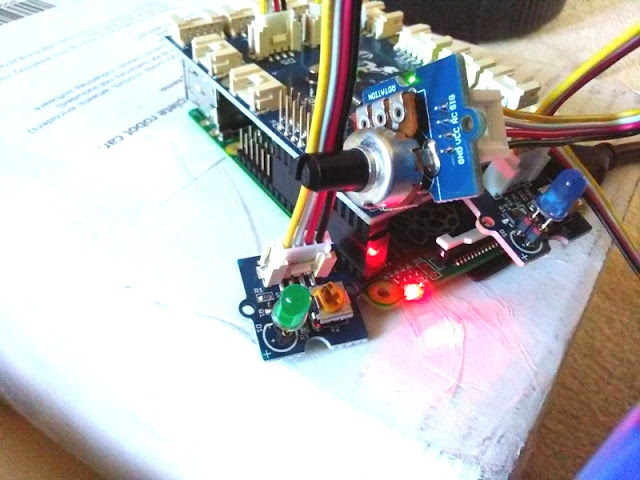 The Button Code is the manual feature of the AirBolt that allows you to open the AirBolt lock manually. The access code consists of left and right combinations. You can enter whichever combination number you want. 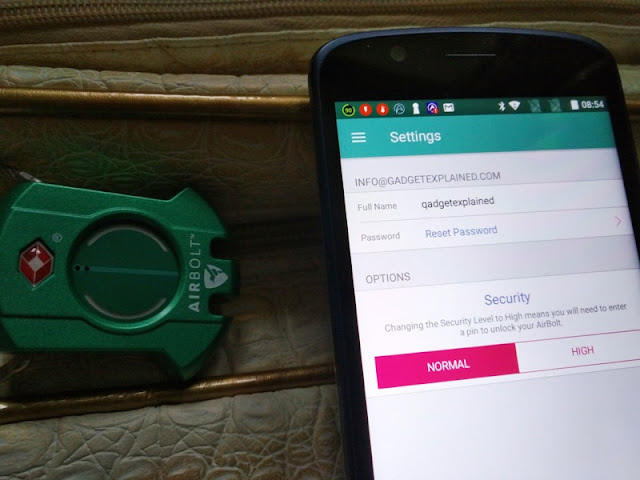 From the settings tab you can reset your AirBolt account password and change the security level from Normal to High. 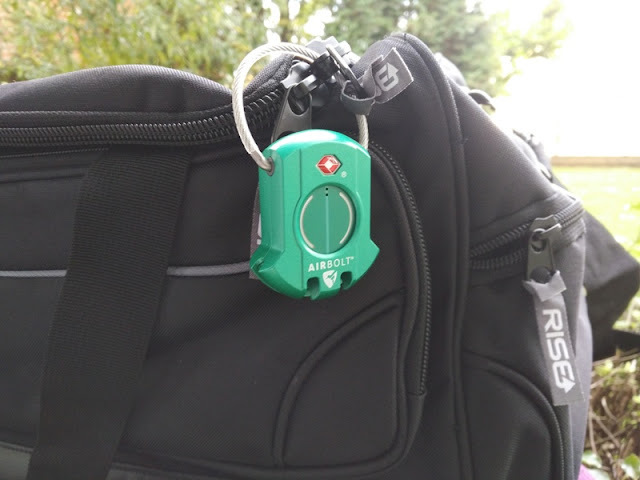 High level security allows you to set up a 4-pin password to unlock the AirBolt. 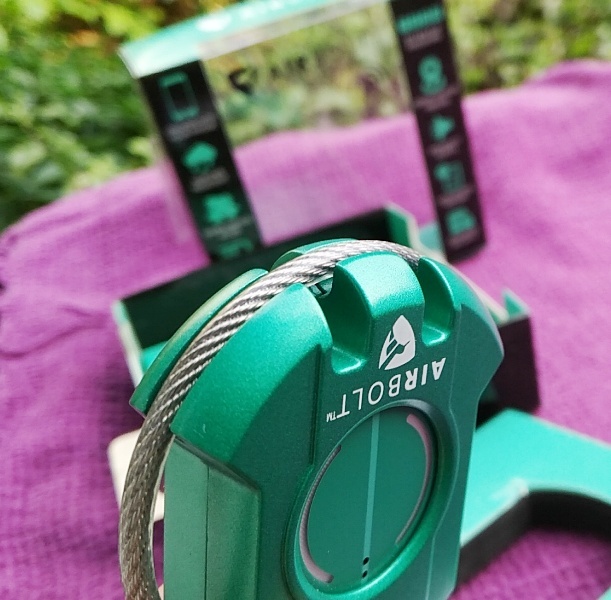 Overall, the AirBolt is super easy to set up. 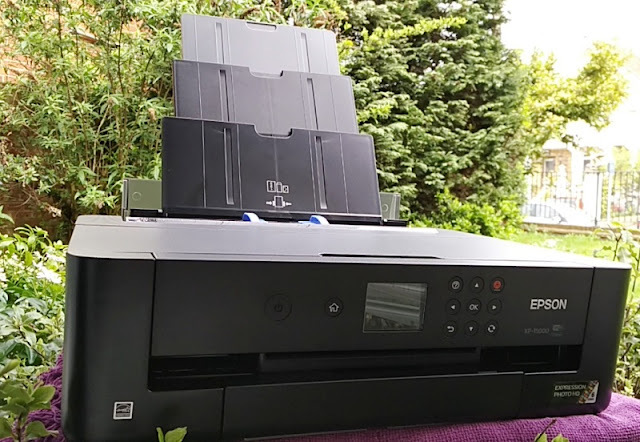 It's very much plug and play and durable, which is nice. 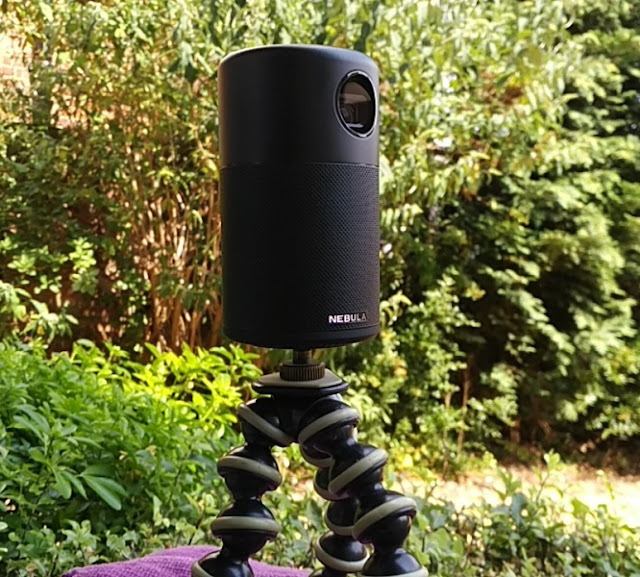 AirBolt myriad of features make it a useful travel gadget to have.